Pharrell braved the snow to get to work in the US. 21. 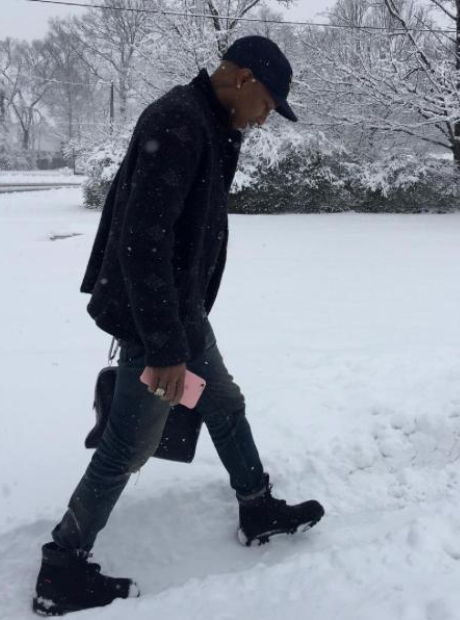 Pharrell braved the snow to get to work in the US.